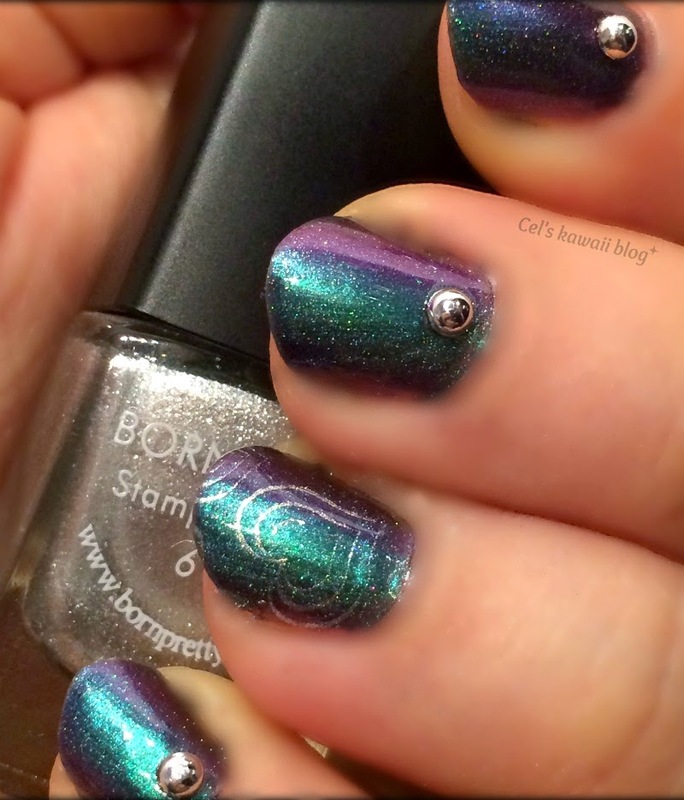 Recently I am discovering some very interesting indie nail polish brands and that makes me want to blog more, yay!!! Being so busy with my daughter and my job won't make this easy but I can say I am in a mood to try and I haven't felt so excited about blogging for quite some time now. But I have many interesting things to share with you my dear readers so yay!!! 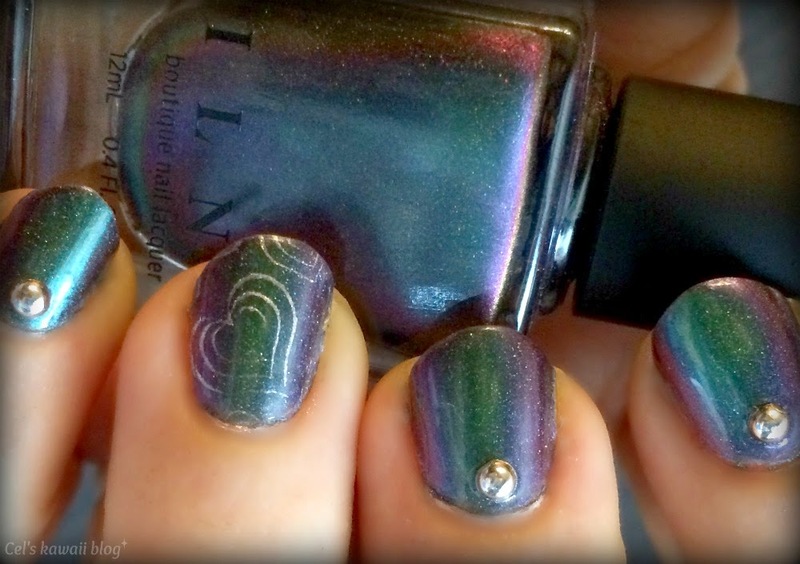 Today I am going to show you Sirène, a beautiful Ultra Chrome holographic nail polish from ILNP and review some nail stamping tools from Born Pretty Store too. I have been eyeing ILNP nail polishes for quite some time now and as it was my birthday a while ago, I decided it was time to finally get some. It was really hard choosing just a few colours but the one that really caught my eye was Sirène, a beautiful multichrome nail polish that shifts from green to purple, blue, violet and even red under specific light. I went for the holographic version because holo makes everything better ^_^ This beauty is a two coater and with my trusted Seche Vite on top it was good to go in a few minutes. 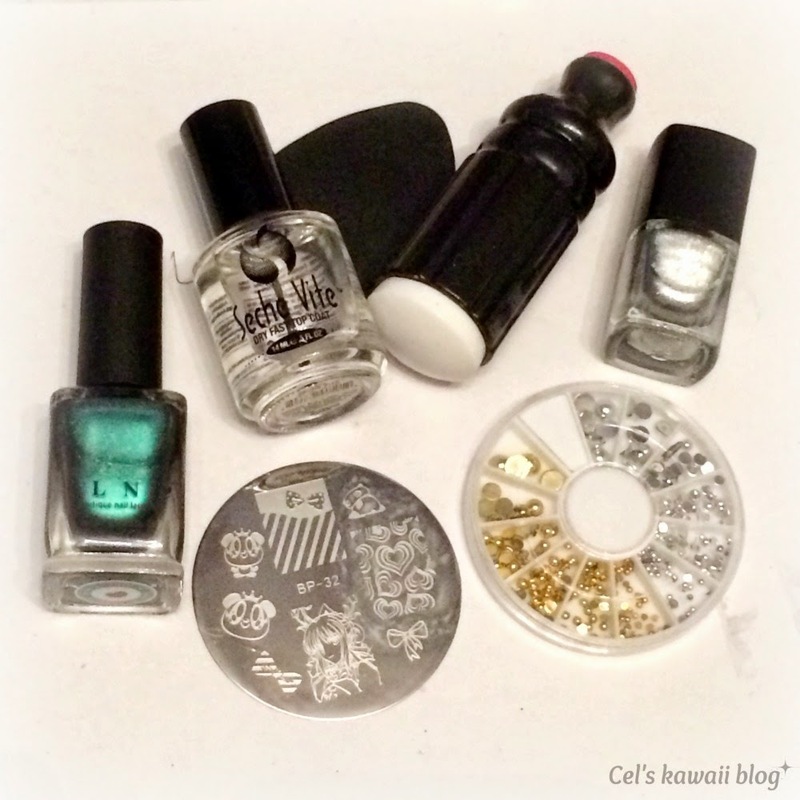 After a couple of days I decided it was time to add a little extra, so it was time to test a couple of nail stamping supplies I received from Born Pretty Store to review, a silver stamping polish and a kawaii stamping plate (BP 32). I also used my double sided nail art stamper. I chose the cute hearts design for my ring finger. It was very easy to get the design on my nail and silver is probably my favorite colour for nail stamping as I prefer wearing dark colours on my nails so it makes for a good contrast. On the rest of my nails I used silver bullions that were also provided to me by Born Pretty store for reviewing purposes. They were very easy to apply with top coat and an orange stick. I sealed everything with another layer of top coat and my nails were good to go. 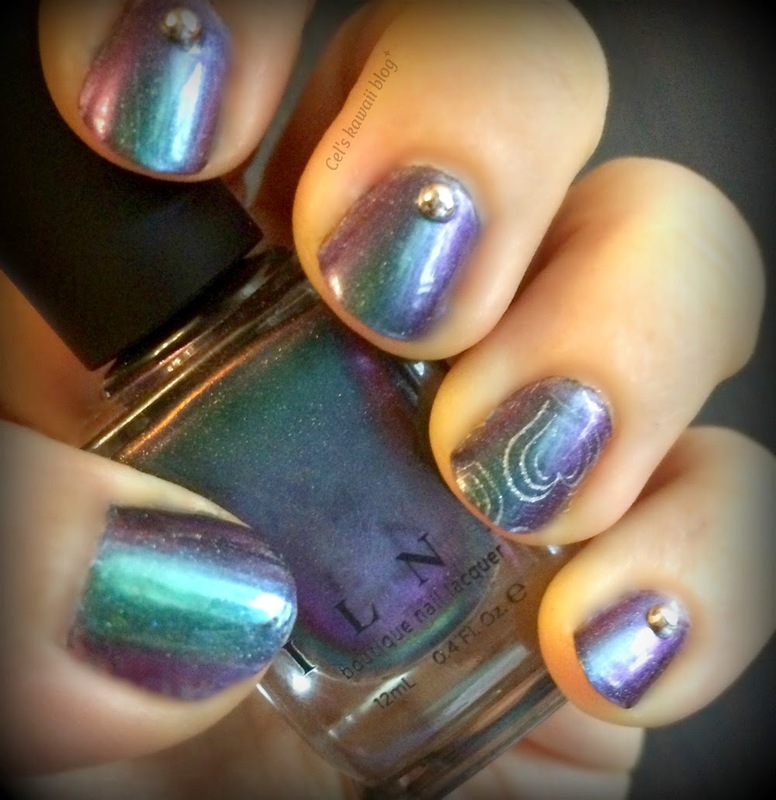 great idea with multichromes polish. I've never use it. 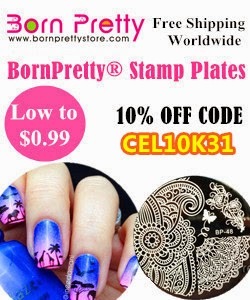 I love stamping too, with BPS it is so great!